There is a queen size bed and TV in the master bedroom, two twins & TV in the second bedroom and a new queen size sofa bed (February 2017) in the living room with memory foam mattress. 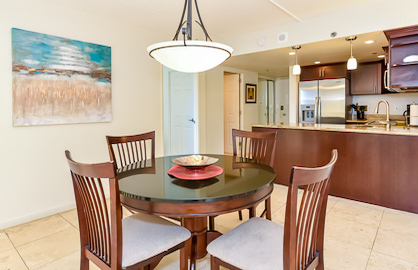 The large living has a dining area and on the other end is a great work desk where you can use the free internet or wifi. There is a full kitchen with stove, oven, microwave, coffee machine, toaster, cooking items and everything else you might need to cook meals. A new high end Mitsubishi split AC unit cools three separate areas of the unit, so comfortable days and nights are awaiting you. The large living room with a queen size sofa bed has great views and is outfitted with a couch, chair, coffee table and a dining table to enjoy your meals while looking out the ocean. This unit is setup to accommodate 6 guests comfortably. What are you waiting for? Read the reviews of this unit on our reviews page. 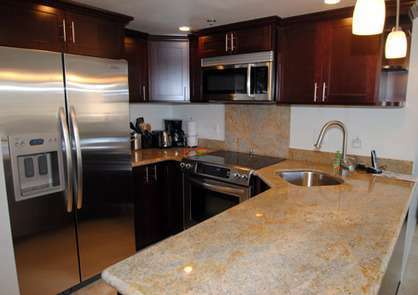 Ilikai 426 - Great unit, very clean and spacious and had everything we needed. Beds were super comfy too! 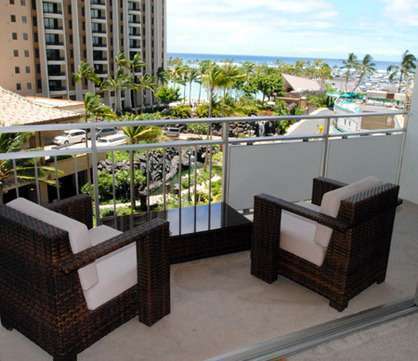 Ilikai 426 - Really nice apartment in great location. Central to everywhere and well appointed. I just wanted to say that we were really impressed with our Ilikai unit 426. It was perfect for our stay. 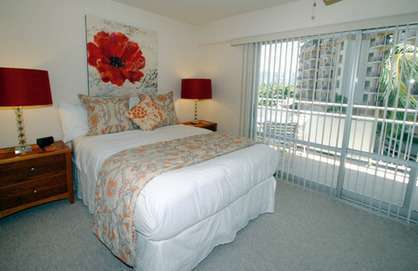 It is perfectly located at the nicer end of Waikiki and easy walking to Ala Moana Mall! 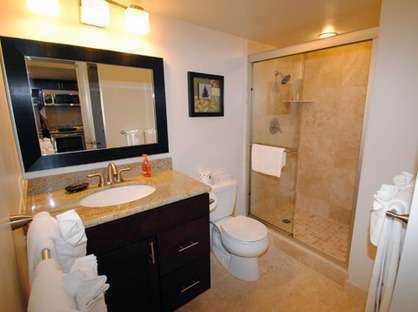 The unit is spacious and very well equipped. Great views and really comfortable beds! 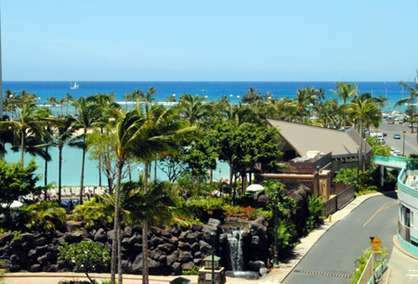 We will definitely be booking again and already are passing on the details to friends who are travelling to Hawaii! The late check out was brilliant! I stayed in this suite (426) with two girlfriends and we met with other old friends who were also staying in the Ilikai at this time. 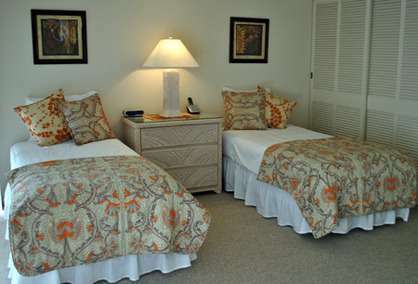 The suite was very clean, very bright, and because of the two bedrooms and the way the balcony windows opened we always had a beautiful cross breeze in the suite and we didn't use the air-conditioning in the main area. We liked the tile floors for the coolness and the ease of cleaning. I liked that each bedroom had its own tv as well as a larger on in the main area. The kitchen has everything you need and we used the filtered water/ice machine on the door of the fridge all the time; it was very convenient. The condo is on the 4th floor so there was street noise--and it could be significant--but you have remember you are in the middle of a large city and, well, there's noise. It wasn't problem during the day but at night we closed the balcony doors and we used the air-conditioning as we slept, but only then. The main area accommodated a little cocktail party that we had with some of our other friends, there is plenty of room for a small group. We had a couple of very small issues and when we called the manager/caretaker our questions were immediately addressed. We were also able to have a late check out and that helped immensely as our flight left at 2330. 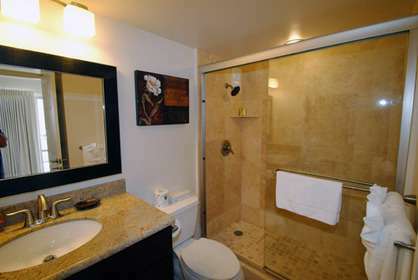 I would not hesitate tor rent again from this owner or from Waikiki Beach Rentals. We were very pleased with our choice and would book with this company and this owner again. Mahalo! We would like to thank you for a wonderful stay in your condo. We stayed in 426 and it was beautiful, clean and just as we saw it on the web site. After a 12hr plane trip it was so nice to just walk right up to the room. No waiting at the front desk for keys. Thank you so much and we will be back again to stay with you! 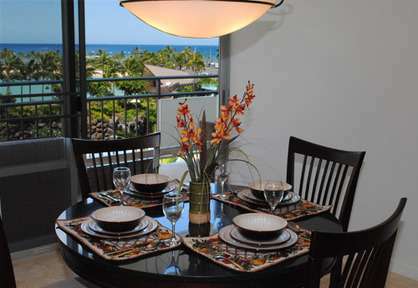 Quintessential Hawaii - Great apartment, good facilities, outstanding location. the owners were a pleasure to deal with; very professional. Recommend unreservedly.We have arrived back in Sydney now and this is just a quick note to say how much we enjoyed our visit to Hawaii. 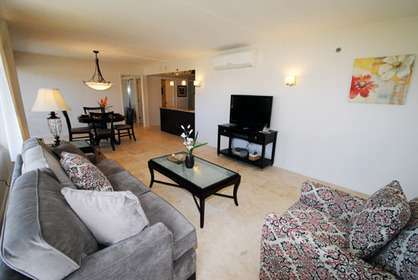 Your apartment suited our needs perfectly; it was a terrific apartment, great facilities and a good location. And thanks once again for your easy-going help with the wireless internet; much appreciated. I wanted to let you know we had a fabulous time last week in apartment 426. We were able to access at 10.30am after a long flight from Australia & few dramas at the airport so it was nice to be able to just walk straight in without having to check-in or wait for keys. The apartment was better then the photos on the website, it was incredibly spacious had a great view of the lagoon & we enjoyed the sunsets from the balcony. Everything in the apartment appeared to be new & the bed in the main bedroom was heavenly. 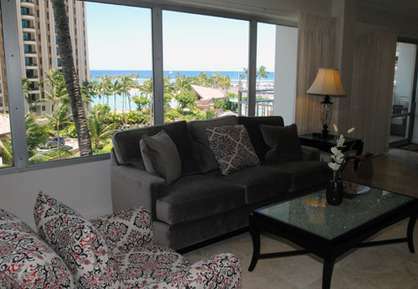 We will definitely be coming back for another stay at the Ilikai.